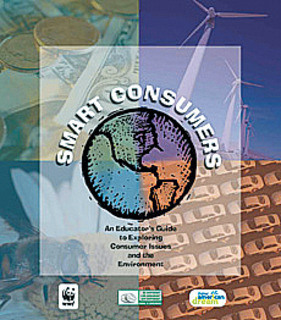 Smart Consumers is a comprehensive, interdisciplinary guide that helps middle school students learn more about how their consumer choices affect the environment and how they can make a difference by buying differently. The toolkit includes an Educator's Guide with background information; 14 hands-on and creative activities that range from analyzing pop song lyrics and advertisements to acting out product life cycles and calculating ecological footprints; an annotated list of resources for more information; and more. *Please note that we are in the process of creating a higher-quality PDF of this guide.